Eat Messy and Have Fun…It’s Finger Food! It’s finger night! Hey, I’m talking about veggies. Ok, so your kids don’t really like vegetable, they life french fries and fried cheese sticks. Who doesn’t? But maybe you can make your life a lot easier and dinner far more pleasant if you lighten up. We are Americans so we can make our own rules right? 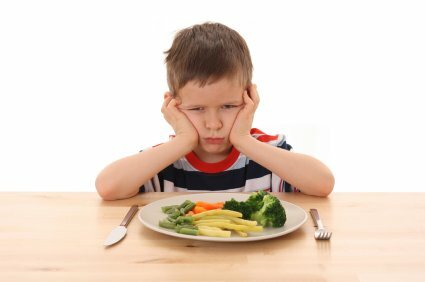 If you want your kids to eat more vegetable without out all the table tension and fake gagging sound effects, try letting them eat all the vegetables with their fingers. When I was a kid I remember keeping cooked carrots in my mouth for ten minutes until I could get to the bathroom and spit them out. Gross, right? And I remember trying to hide my squash in my napkin then seritpsioucly chucking it in a garbage can. I’d do anything to avoid vegetables. Grilled zucchini, finger food, asparagus, finger food, broccoli with cheese sauce, finger food. Peas can be a little difficult but everything from tomato slices (yeah, I know there are folks who say tomatoes are a fruit) to artichokes and carrots taste a whole lot better and are pretty fun to eat if you get to use your finger. Try it sometime. 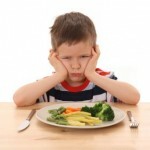 The truth is, after a while they will develop a taste for the vegetables and eat them like a real human, with a knife and fork. And you can suspend the finger rule when you go to restaurants with actual silverware. But when you are at home, make your kids us a knife and fork on everything except the healthy ones.Maybe helping your kids develop great habits, habits that will stay with them for a life time is more important than exquisite etiquette and Monarchy-like table manners. Dinner time with your family should be joyous or at least tolerable. If vegtables are ruining the moment lighten up and get a little messy with your broccoli. And when seven year old friends come to visit you can bet you’ll be the cool parent if you tell them to eat the zucchini with their fingers. We’re Americans, hell, we’re Arkansans, we can make up our own rules. Comments Off on Eat Messy and Have Fun…It’s Finger Food! Last Thursday I had a bag of Cheetos for lunch and it was awful. Generally, I love Cheetos, hate the orange Cheeto dust, but love crunchy Cheetos. So, I ate a bag for lunch, but all I could think was, “This is really really dead food”. As I finished off the ninety nine cent bag I thought about the actual nutritional content. I had eaten 440 calories worth of “food” but my poor body didn’t get a damn thing except chemicals, salt and orange food coloring. No protein, no vitamins, nada. And I felt sorry for my body. It was hungry so I dumped a bag of orange, man made, crunchy chemical sticks into my stomach. Then, I expected my brain and body to perform well. An hour later I was hungry, exhausted and really thirsty. So Cheetos really are “dangerously cheesey”. Later that day I googled “dead food”. Wow, there’s a whole world of folks out there with serious thoughts about living and dead food, they make lists and eat everything raw.To my surprise, Beef Jerky made the dead list, I was pretty sad about that one. Chef Craig Koketsu of the Park Avenue Autumn Restaurant in New York has created a a very popular Broccolli and Cheeto dish that sounds surprisingly wonderful, but I think it kind of shoots down the whole purpose of eating veggies. So, back to dead food. I think it might be bad for us. I think our bodies need more than chemicals. And I think we are seeing more and more young girls with surprisingly flabby bellies because we are all eating too much “dead food”. We are filling out bodies with preservatives and weird trans fats and our bodies just don’t know where to put it, so they turn it into fat than hangs over the top of our low rise jeans. I think we are all tired because we aren’t giving our body the stuff it need to run… meats, vegetables and fruits. It’s like asking a car to run on scotch or shampoo. The truth is I’ll keep on eating some “dead food” because it tastes really good and I like yummy stuff. But I think we all need to avoid Cheetos for lunch, unless you have a big rib-eye steak and a salad on the side.